After being engaged for a little over a year, my fiancé and I decided to have a small elopement in NYC. We had no time to plan anything and we had no budget. We knew the most important thing to us was the memories. In that, we decided to find the best photographer to capture our intimate day. LoveinTheory was not only an AMAZINGLY TALENTED photographer but she turned out to be my Maid of Honor!! In a matter of seconds Jacq noticed I was short of help and offered to do everything that was needed and had yet to be done (and we took her up on that offer!)! Jacq is a wonderful artist and human being, she is kindhearted, funny, relaxed, and smart. Both my fiancé and I felt like she was our life-long friend from the first coffee she had with us! We felt completely comfortable throughout the entire photoshoot and saw a great sneak peek at the end of the day!! It was absolutely a thousand times more than we could have ever imagined- she even made my bouquet and my hubby's boutonnieres (I know right?)!! Thank you Jacq!! We love you! We hired Jacquie for our engagement shoot - she caught our eye because I felt she really captured the emotions and feeling of a couple, which is exactly what we wanted! While the classic poses work for some, we wanted an authentic session that showed US as a couple. WOW did she deliver!!! From before our shoot even started I felt a connection to Jacquie and a really comfortable around her. We went over our time without even realizing because it just felt like my fiance and I were on a date having an amazing time - all of which shows in our pictures. Jacquie made us laugh authentically, and for two people that don't like our photos taken...it truly felt like she was just talking to us. I don't even remember her snapping over half the photos she did. Jacquie was not only extremely professional, insanely talented, but her ability to make you feel comfortable, and actually promote you to be your authentic silly self was something I've never experienced before. As soon as we had our wedding date set, we booked her for the wedding as well! You can tell from first contact that she truly cares about you and what you want. We're still in contact now about many life things, and I know we will continue to be so long after our wedding is done. On top of that, Jacquie goes above and beyond in all aspects of the photography. It is her business, and she shows you that you're not just another number, but a really special part of her year and life. The follow-up after our engagement, and even the adorable way she sends you your photos all made me feel like the most beautiful bride-to-be all over again. If I could hire her to do 10 engagement shoots I would - simply put: Jacquie is the best. HIRE HER - SERIOUSLY!! My husband and I booked Love in Theory after seeing how amazing our friend’s wedding photos were. Jacq was the best! Very accomdating- we had a few hiccups at our wedding and jacq totally played it like a boss and got amazing photos of us! She captured all the moments I missed. Def got the mood and style of both our personalities ! Best of all she calmed me down when things weren’t going exactly how I planned. I would say best wedding photographer ever! Jacq just recently shot our engagement session and we could not have been more impressed by her style, knowledge, and endless amounts of assistance in navigating wedding photography and beyond. Not only is Jacq an incredibly talented photographer with an amazing personality, but she goes above and beyond to assist with everything regarding the wedding -she is a wealth of knowledge! She was extremely accommodating during the photo shoot and the photos turned out PERFECT and with quick turnaround to meet my schedule. Jacq has everything down to the detail! We were so happy, we cannot wait for her to shoot our wedding!  We are so fortunate and endlessly excited to have Love in Theory document our wedding and highly recommend her to other to-be-brides. WOW!!!! We are so grateful and humbled for our clients and everyone who has taken the time out to write us kind reviews! To read many more awesome things clients have had to say about us throughout the years, please visit us on The Knot or Wedding Wire!